Two musicians with different roots and extractions, Malcolm Cecil and Albert (Bob) Margouleff meet after both have pursued different paths, both driven by their interest in the same instrument: the Model III Moog Synthesizer. Malcolm Cecil is a British jazzman of value, who works during obscure years (the 60's) with Mike Gibbs, Stan Tracey and no one less than Mike Westbrook. After a brief and sterile interlude at BBC (Brrrrr....), he will work as a sound engineer and he will have the merit to introduce at the Marquee the 4-tracks recording system. With the money earned at BBC he will travel through Africa and Asia, experimenting with traditional instruments and musical structures from those Continents. His journey seems to stop in Singapore, but with the last BBC money he jumps to the USA, where he will earn his bread at the Mediasound Studios. There, he will meet an excellent Moog Synthesizer programmer, Albert (Bob) Margouleff. Tonto's Expanding Head Band sees the light. Zero Time is actually the only valuable album they make (if we exclude some "singles" and other unofficial recordings). To be precise, they'll make also an LP with the title It's about time, but this is a product that will follow later on, insecure and where not even the two musicians will sound like their old self, in an attempt to explore ways that they already left years ago. 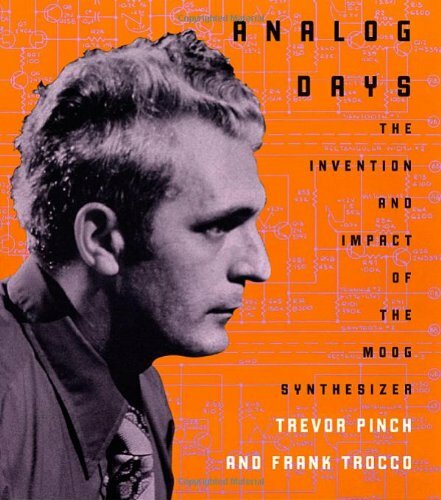 Zero Time moves about the research of sound and musical theory that could be compared with the one of Beaver & Krause. However, the duo Cecil/Margouleff moves inside some more complicated harmonics, that combine the pure technical exploration of the electronic instrument (the Moog III) with the some more complex variations in the field of musical theory and influences from other harmonic structures (mostly from Asia), without forgetting some pure and simple mathematics. Aurora is a simple composition that uses tonal shifts of a whole octave that are moved along one single note. Each one results in a 35 seconds long phrase. Riversong is modulated on an octave with 17 tonal shifts (instead of the 12 normally used), making it sound like an Indian Raga (using, more or less, the same structure). Despite of all these theoretical musical components, their music has a high emotional impact and it's far from being just a sterile exploration of musical composition techniques. And their sincerity is a fact. Both aim to interlace different musical structure into one that leaves the listener free of associate the music with emotional states and even meditation, without falling into the sterile use of electronics or a false sense of meditative state. Unfortunately, the market is not wide enough to guarantee the economical survival of their music. They will be found, some years later (1974), in the more commercial Ravi Shankar & Family, produced by George Harrison. This project will mark the beginning of the worst kind of cultural contamination that will ever wash upon the musical scene and will involve many big names, like John McLaughlin among the most famous, in this forced pursue of the "Indian dream" that will try to transport thousands of people into a culture that can impossibly fit into the schemes of the Western one, resulting only in an alienation from reality and in an escape from all kind of contact between the listener and the real world. TONTO, Malcom Cecil, Robert Margouleff, who co-produced Stevie Wonder's 'Innervisions' and 'Talking Book' albums, not forgetting Syreeta Wonder's album.